Keepers of the Way, Inc.: It's Coming! The time is drawing near. 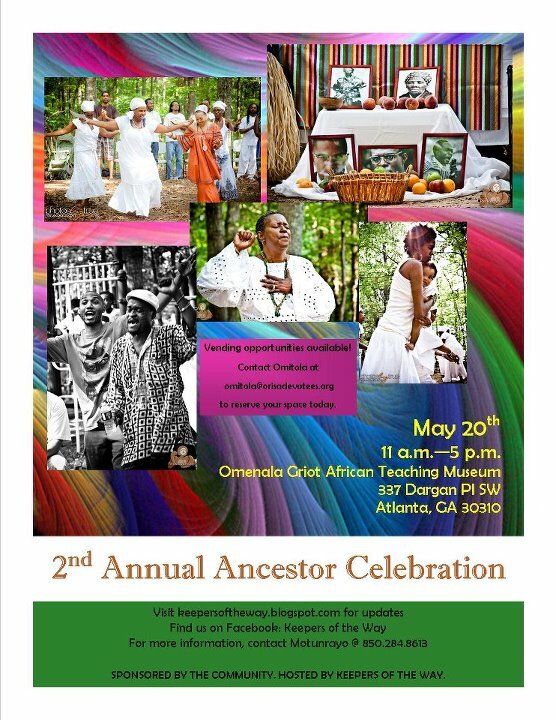 Two more months to go and preparations continue for our 2nd Annual Ancestor Celebration. Its success is in our hands. 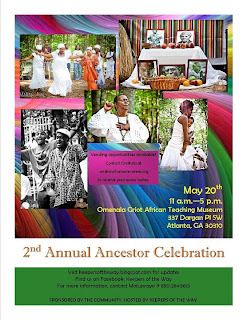 Remembering their resilience, their perseverance, their commitment, let this celebration of Ancestors truly reflect the satisfying outcome of collective and diligent work. We heed the call, we venerate the Spirit of those who have come before, we lift up our ancestors as they lift us up! Let's make this celebration the best one yet.